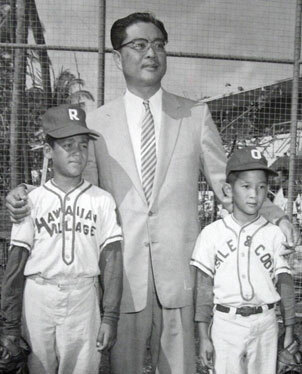 Dan S.C. Liu served more than 20 years as Honolulu police chief and was involved in youth activities. Question: What ever happened to former Honolulu Police Chief Dan Liu, who retired in 1969? Answer: Honolulu-born Daniel S.C. Liu, the first Chinese American to be a police chief of an American city, died at age 78 in 1986, but not before distinguishing himself as a public servant. He served 37 years in the Honolulu Police Department, more than 20 years as police chief from 1948-69, the longest any person has held the law enforcement position on Oahu. He resigned to accept an appointment as special assistant to the postmaster general, in charge of International Postal Affairs. Liu later served as director of community affairs in the Pacific for American Airlines and its subsidiaries. During his police career, he was credited with significantly improving training and education within the Police Department. A graduate of St. Louis High School, he began his police job as a patrolman and moved his way up the ranks. He was a devout Baptist, close friend to evangelist Billy Graham and served as president of the Christian Broadcasting Association. Liu was known as a police administrator who demonstrated restraint and never publicly aired his gripes with City Hall or police commissioners. He stayed away from running for elected office. In a Honolulu Star-Bulletin poll in 1965, he was named the "State's Most Admired Man." During a testimonial dinner attended by more than 1,000 people in 1969, then-Chief Justice William Richardson praised Liu for his community service with the Boy Scouts of America, YMCA, Police Activities League and Youth for Christ. This update was written by Gary T. Kubota. Ever wonder what happened to a person, event or issue that has been in the news? We'll find out for you if you e-mail us at cityeditors@starbulletin.com, call us at 529-4747 or write 7 Waterfront Plaza, Suite 210, 500 Ala Moana, Honolulu, HI 96813. "What Ever Happened to ..." runs Saturdays.